Our antibacterial hygiene wipes kill 99.9% of germs without damaging your headset or irritating your skin. Planning on sharing your VR headsets at social or trade events? 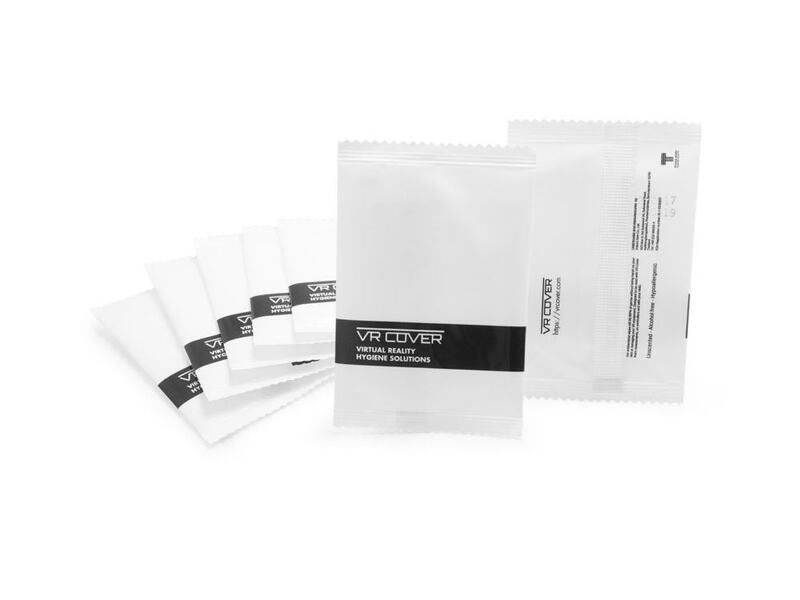 Using these hygiene wipes in combination with our PU leather foam replacements will ensure everyone stays fresh and clean. 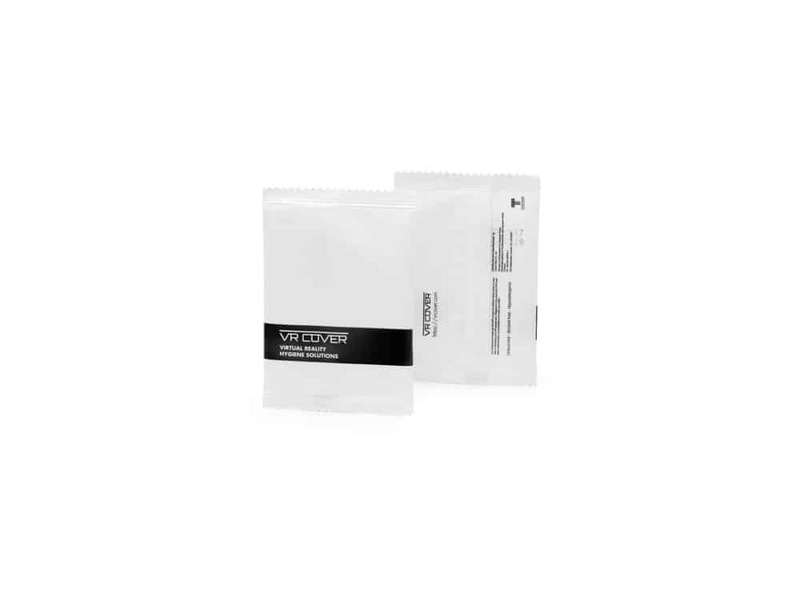 The wipes are alcohol-free, hypoallergenic and unscented, making them perfect for use on foam replacements that come in contact with your face. The wipes are individually wrapped, so you do not need to worry about them drying out. As they are large enough, each piece can double up as a wipe for cleaning controllers too. The Skin Friendly VR HMD Cleaning wipes are sold in sets of 20, 50 and 100. 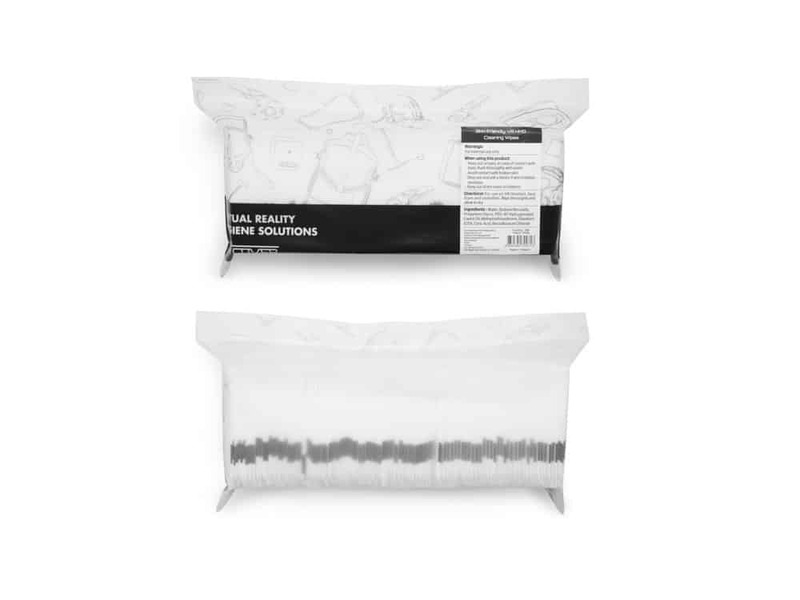 Try our Skin Friendly VR HMD Cleaning Wipes! What are the ingredients of the cleaning wipes? Can I use these on all parts of the headset? You clean the foam and plastic parts of your headset with these wipes. Do not clean the lenses with these wipes. Will these irritate my skin? No, these wipes are hypoallergenic and alcohol-free so they are safe for sensitive skin. How long will the wipes last? The wipes are individually wrapped and so can be kept for longer. We estimate they will be good for at least a couple of years before drying out.